It’s me, Julio! I want to share the good news that last Wednesday the 12th I was granted bond and released from ICE detention!! As many of you know, I was found not guilty at trial in district court at the beginning of the month. 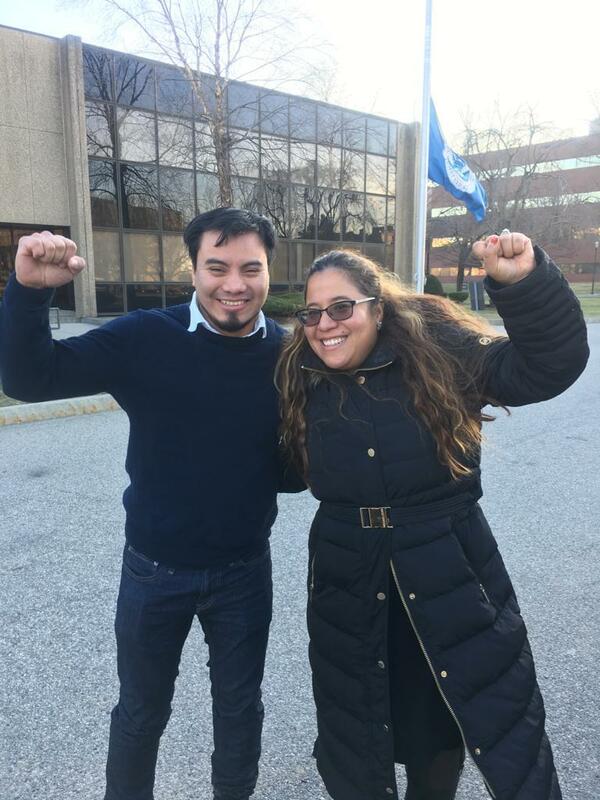 This outcome allowed for my immigration attorney, Jennifer Velarde, to ask the immigration judge for reconsideration of bond at a hearing last week - and it was granted! You can read about my case on the ACLU website here. It feels great to be out of detention, but I have a lot on my mind. First, I am still facing deportation and adjusting to "normal" life after being in detention for two months is overwhelming. I have also been thinking a lot about the other people who remain inside detention right now. I was able to get out because I had so much support from many attorneys (including the ACLU), community organizations, my family, friends, people who signed the petition and made calls, and everyone who donated and shared my fundraiser (all of which went to support legal costs). I feel so grateful for this support, but not everyone inside detention gets this kind of attention and financial support, and as a result their rights are abused. With this on my mind, I would like to invite you to a Migration is Beautiful Celebration on Saturday January 5th at 7pm at 309 Lexington St. #3 East Boston, MA 02128. I want to celebrate my release, and share with you my experience and how we can continue to support people in detention. Please let me know if you can make it! Thank you so much for helping me out during these very difficult times. Your help has been invaluable to me, and I don't know how I would have managed in detention without your help and support. Again, thank you so much. I sincerely appreciate your generosity. Although I do not want to ask for it, it would mean a lot to me and help me a lot if you could share my fundraiser. I found out that my valid driver's license was confiscated by ICE, so I am unable to drive for at least the next 6 months. Since I own a small construction business, this is a huge barrier to being able to work. I am doing all I can to get back on my feet, and I sincerely appreciate all of the love and support you have given me. Muchas gracias por todo. Espero verlos el 5 de enero!